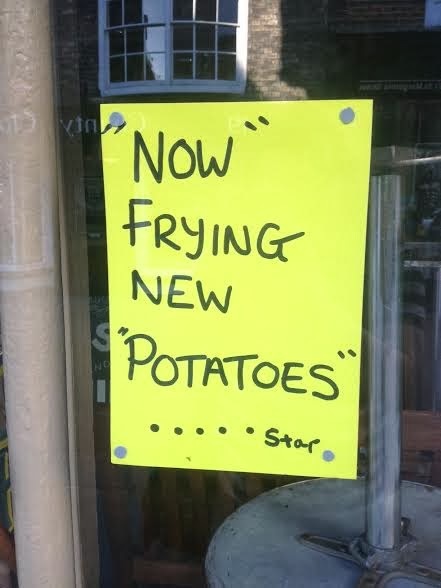 The “Blog” of “Unnecessary” Quotation Marks: New "Potatoes"
I wonder what they are actually frying and when they are doing it? Plantains? Yesterday? Thanks Joe.